Cody Nicely hired Pioneer Media to provide ongoing management and hosting services for their website. The site’s focus is the Portfolio, which includes work available for sale and pieces that have already been sold. Each of those two pages has a beautiful lightbox-powered photo gallery that expands each thumbnail for full-screen viewing. The glass art is photographed in high-resolution, so visitors can see the attention to detail that is put into each of these magnificent pieces of art. All updates to the photo gallery are fulfilled as soon as possible. This excellent customer service has made Cody Nicely one of our most loyal customers. 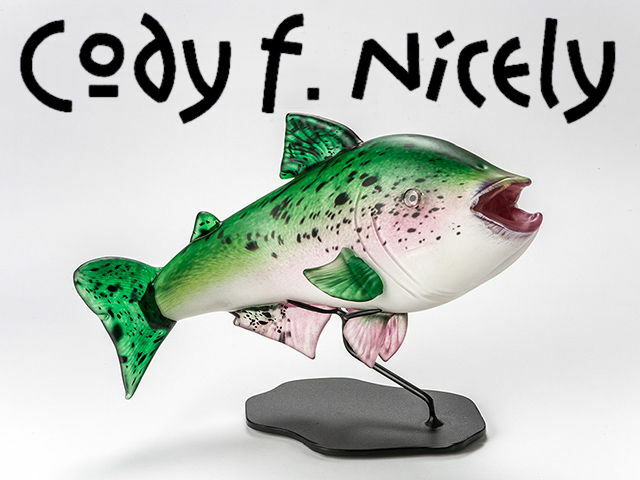 Cody F. Nicely is a glass blowing artist. He has won awards for his art, including the coveted 2012 Niche Awards. Cody Nicely’s art is represented in a number of art galleries, and he performs at many shows across the country. Cody Nicely has built up an extensive portfolio of work, which is all available online.